The Hate U Give (film, 2018). A 2018 American drama film with "PG-13" rating by 20th Century Fox. Directed by George Tillman, Jr. Official Trailer. 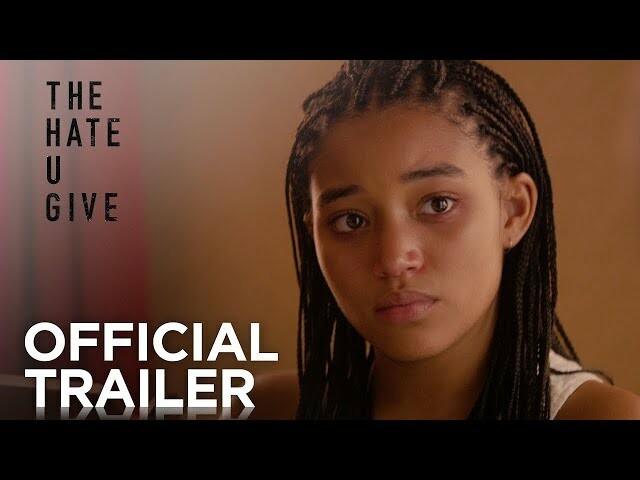 The Hate U Give is a 2018 American drama film directed by George Tillman, Jr.. 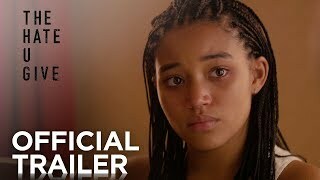 The Hate U Give | Official Trailer | 20th Century FOX. Starr Carter is a 16-year-old American black girl who lives in the fictional, black neighborhood of Garden Heights, but attends a white private school, Williamson Prep. After a gun goes off at a party Starr is attending with Kenya, her brother's half-sister, Starr is driven home by her childhood best friend, Khalil. While driving home, they are stopped by a white police officer. The officer tells Khalil, who is black, to exit the car; while outside the car, Khalil reaches through the driver-side window to check on Starr and he picks up a hairbrush. The white officer sees Khalil has an object in his hand and fires three shots at Khalil. Starr runs to Khalil and then the officer tells Starr to sit then discovers that Khalil had a hairbrush, not a gun. Khalil's death becomes a national news story. Starr's identity as the witness is initially kept secret from about everyone outside Starr's family - leaving Starr's two best friends, Hailey Grant and Maya Yang, and Starr's white boyfriend, Chris, who all attend Williamson Prep together, all unaware of Starr's connection to the news story. Having to keep this secret weighs on Starr, as does her need to keep her Williamson and Garden Heights personas separate. Starr agrees to be interviewed on television and to testify in front of a grand jury after being encouraged by a civil rights lawyer, April Ofrah. While defending Khalil's character during her interview, in which her identity is hidden, she names the King Lords, the gang that controls her neighborhood. The gang retaliates by threatening Starr and her family, forcing them to move in with her Uncle Carlos, who is also a detective. Carlos was a father figure to Starr when her father, Maverick, spent three years in prison for gang activity. Following his release, Maverick left the gang and became the owner of the Garden Heights grocery store where Starr and her half-brother Seven work. Maverick was only allowed to leave the King Lords because his false confession to a crime kept gang leader King from being locked up. King, widely feared in the neighborhood, now lives with Seven's mother and Seven's half-sister Kenya, who is friends with Starr. Principal photography began on September 12, 2017, in Atlanta, Georgia. The film The Hate U Give was scheduled to be released by 20th Century Fox on September 7, 2018 (TIFF), on October 5, 2018 (United States) and on October 19, 2018 (United States). The duration of the film is 133 minutes. With a budget of $23 million, the film grossed over $34.9 million. The Hate U Give got high rating from critics. The audience also likes the film. Audiences polled by CinemaScore gave the film an average grade of "A+" on a scale ranging from A+ to F.